Question: How many items are currently checked out of our library as of April 9, at 12:46 PM? This includes EVEYTHING that you can check out! Winning answer will receive a prize! 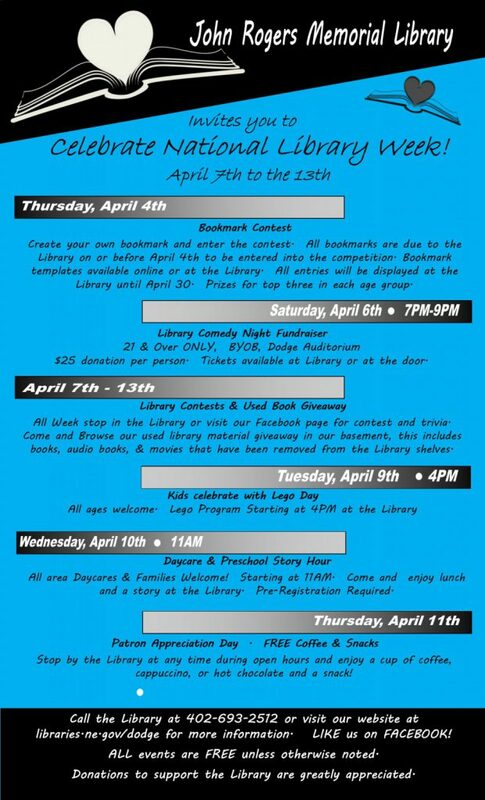 Check out all the awesome events to celebrate Library Week! 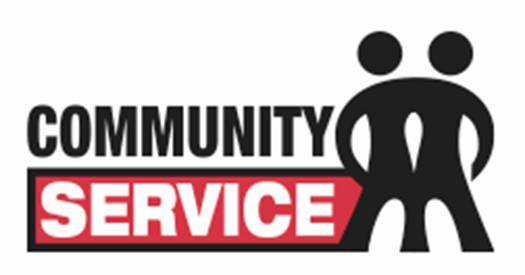 The Library is looking for some volunteers to help carry boxes of books out of the Library into vehicles and moved to the Auditorium for the Craft Fair. I am hoping to get this done the week of November 26-30. If you are interested in helping please let me know!!!! 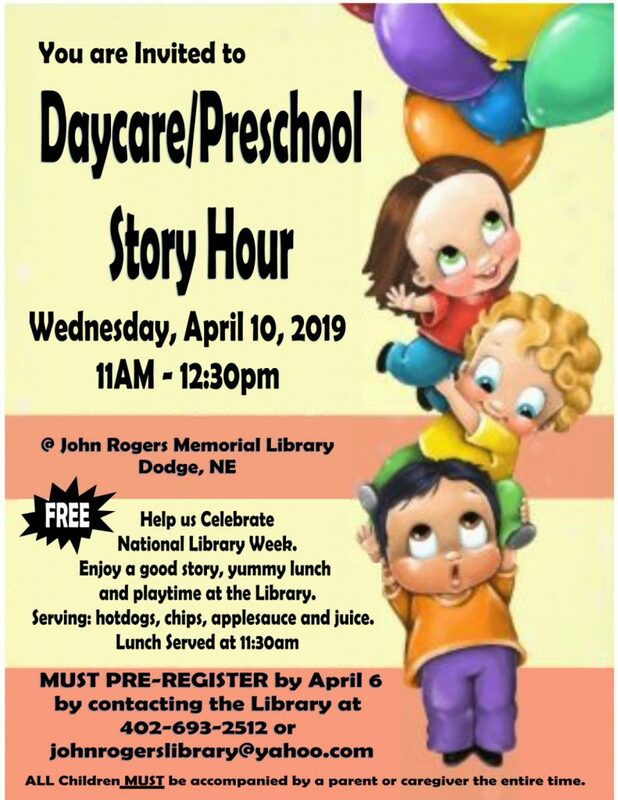 Come out and enjoy the day in Dodge! Lots of FREE activities throughout the day and evening for adults and children at the Craft Fair and Tree Lighting. The Craft Fair will be held at the auditorium from 10am-4pm. $2 Admission! 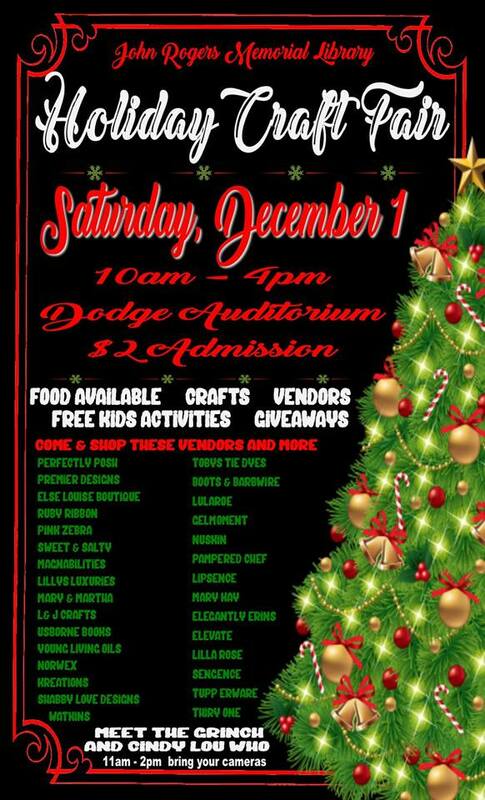 FREE door prize drawings, FREE kids activities and crafts, FREE pictures with the Grinch and Cindy Lou Who!!! LOTS of vendors and crafters, so get all your Christmas shopping done in one stop! 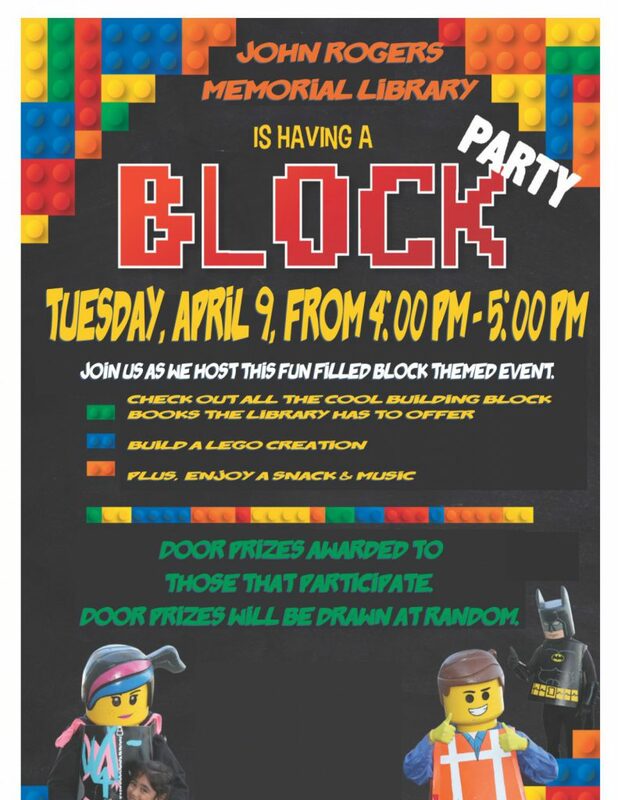 All proceeds from the Craft Fair to benefit the John Rogers Memorial Library! 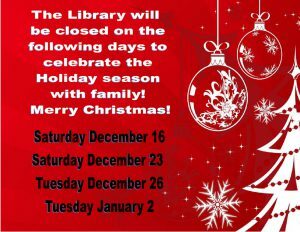 The Library will be closed on the following dates to celebrate the holiday with friends and family! Have a Happy Holiday Season everyone! 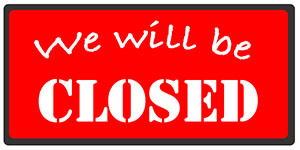 We will re-open on Tuesday, September 11 with normal hours; 11:30am – 5pm. 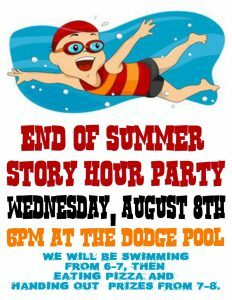 To attend the Party each child MUST have at least ONE reading log returned to the Library by Tuesday, August 7th.